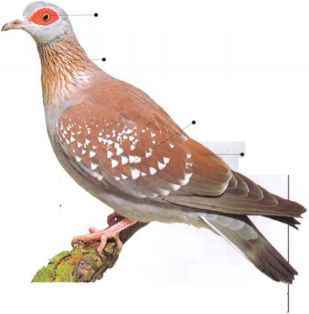 This is the wild ancestor of all domestic pigeons, such as messenger and racing birds, and of the fancy pigeons that have been bred in many colors, including pure white, and in various patterns. Escapes have led to feral (semi-wild) populations, most of which live in towns as street pigeons. Truly wild Rock Doves nest in colonies, on ledges in caves, and in cliff crevices, feeding on seeds. • NEST A scanty platform of twigs and feathers, on a rock ledge or a building. • DISTRIBUTION W. Europe, n. Africa, and through the Middle East to India. 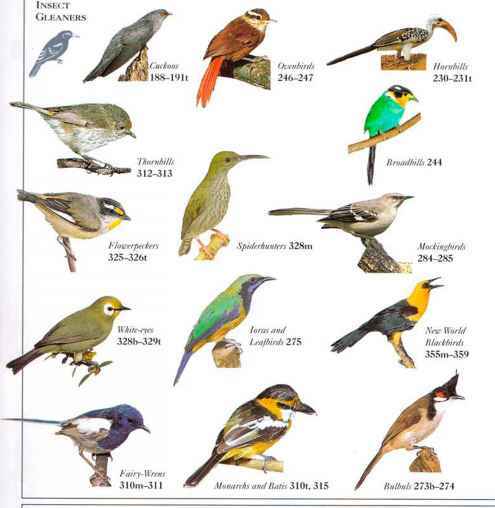 Feral birds have established populations throughout the world. 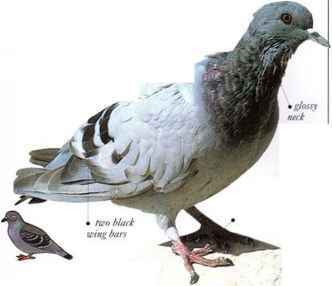 I his pigeon resembles some street pigeons in general appearance, but has silvery-tipped neck feathers that are slightly forked. During mating displays, when the male inflates his neck, these stand out as a big, bristling ruff. 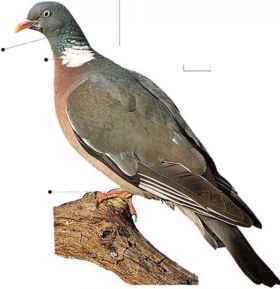 The species is the natural African counterpart of the wild Rock Dove and has learned to live with humans and to use buildings as substitutes for the cliffs and gorges that it uses in the wild. Its natural diet consists of seeds including grain, and the leaves, shoots, and buds of green plants. • NEST A flimsy platform made of twigs, sticks and grass, situated on the ledge of a cave or cliff or on a building or bridge.